Located in a mountainous region, Issaquah is surrounded by the Issaquah Alps to the east, west and south, and it borders Lake Sammamish to the north. In addition to its unique geography, the city has been ranked the second fastest-growing suburb in the entire state. With its population currently at just over 36,000 but rapidly increasing, it is more important than ever to preserve the surrounding nature by improving your home’s outdoor space. If you are in need of professional landscaping services in Issaquah, WA, the team from Lake Washington Landworks, LLC is only one call away! Our landscaping specialists are dedicated to helping not only local homeowners but also local business owners beautify the city around them. We create comprehensive maintenance plans based on the distinct needs and characteristics of your outdoor space, including its site conditions and microclimate, to ensure optimal and highly personalized results. Whether you are looking to create a unique extension of your home or simply keep the lawn outside your business in pristine condition, rest assured that your expectations will be not only met but exceeded. Our expertise combined with flexible scheduling and affordable rates never fails to ensure customer satisfaction. 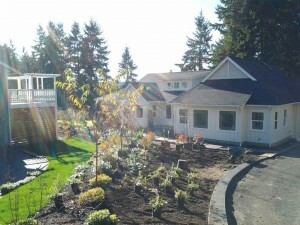 To learn more about the benefits of our professional landscaping service in Issaquah, WA, please call us at Lake Washington Landworks, LLC today – at (425) 432‑5038. Alternately, you can reach out to us by email or through our online contact form, and we will gladly provide you with a detailed initial consultation.